Add decorative support to shelving and underneath cabinets. 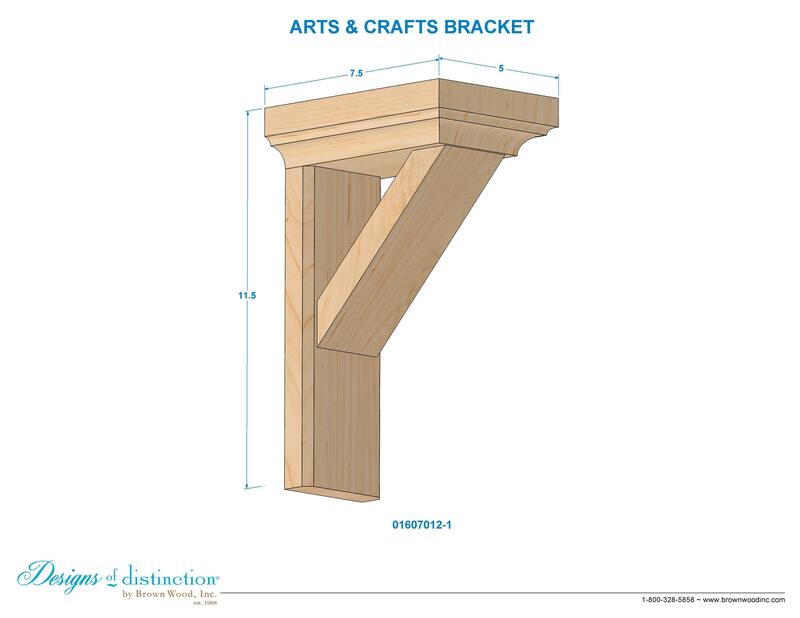 Featuring hallmark Arts & Crafts design of tasteful and elegant style, the Arts & Crafts bracket is an excellent finishing touch to your cabinetry, mantels, shelving, and more. Establish a theme using all components from the Arts & Crafts Collection. Shop more of this look in the Arts & Crafts Collection. The perfect adornment to countertop support, mantels, and hoods.